The world has had its share of dumpster fire years—let's take control of 2019. If you contribute to EFF before the end of December you will power crucial online rights projects and legal work, and you will also help EFF receive additional challenge grants totaling $40,000. 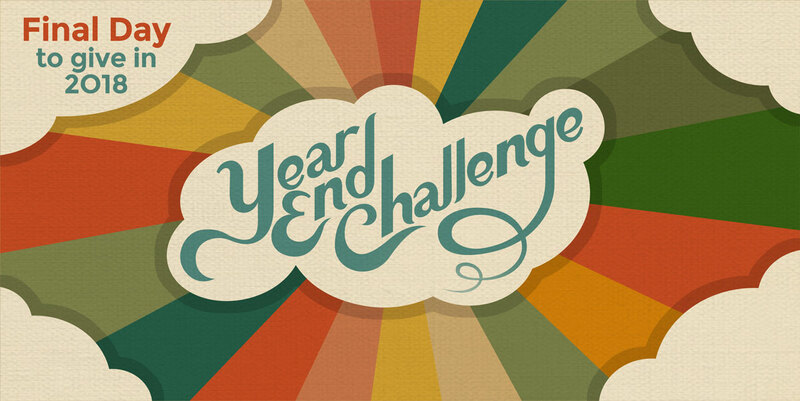 Just as we are all important members of the digital freedom movement, every person counts in our Year End Challenge. EFF has the opportunity to unlock eight challenge grants—from $200 to $20,000—that increase in size as the number of donors grows. When you lend your support, you bring us one step closer to a world that is free of censorship, rejects mass surveillance, and gives individuals just like you the resources they need to defend themselves and build a better world. These are formidable challenges without easy answers, but EFF does not believe in the no-win scenario. EFF's team of technologists, activists, policy analysts, and attorneys is adept at facing the big questions about the future of civil liberties. With your help we will remain up to the task, whether it’s giving power back to technology users instead of corporations, locking horns with the NSA to fight mass spying for a decade, harnessing VR technology to expose street-level surveillance technologies, fighting to preserve the open Internet, or suing to protect the privacy of our DNA. We are grateful to EFF’s expert board of directors who created the Year End Challenge grant fund and help guide crucial digital privacy and free expression work all year long. We're also thankful for EFF members worldwide who believe in our mission as sincerely as our board members. We hope you take the step to join us and help EFF unlock special grants this year! EFF is a U.S. 501(c)(3) nonprofit and donations are tax-deductible as allowed by law. Know that we are opposed to exchanging, renting, or selling your data to other organizations. If you have questions about your donation, please contact the team at membership@eff.org or call +1 415-436-9333 and we’ll help you out. Thanks for supporting the future of privacy and free expression.